I first spotted this little book in our local Deseret Bookstore. I don’t remember the actual reason my family went there that day, but when I saw this on the shelf, I was curious and picked it up. I found the concept interesting immediately and a little hilarious; a caterpillar is destined to become a monarch butterfly, but when he hatches from his cocoon, he’s a spider. The premise tickled me, and despite the book being meant for much younger readers than myself, I wanted to buy it. However, my brother crinkled his nose at the very idea and shook his head. “No, Bailey, don’t get that book.” Sadly, I put the book back. But, that did not stop me from buying it the next time I went to the Deseret Bookstore. My brother wasn’t with me on that occasion. I will admit that he was disappointed when he found out I bought it after I proudly showed him it added to the other great books on my shelf. 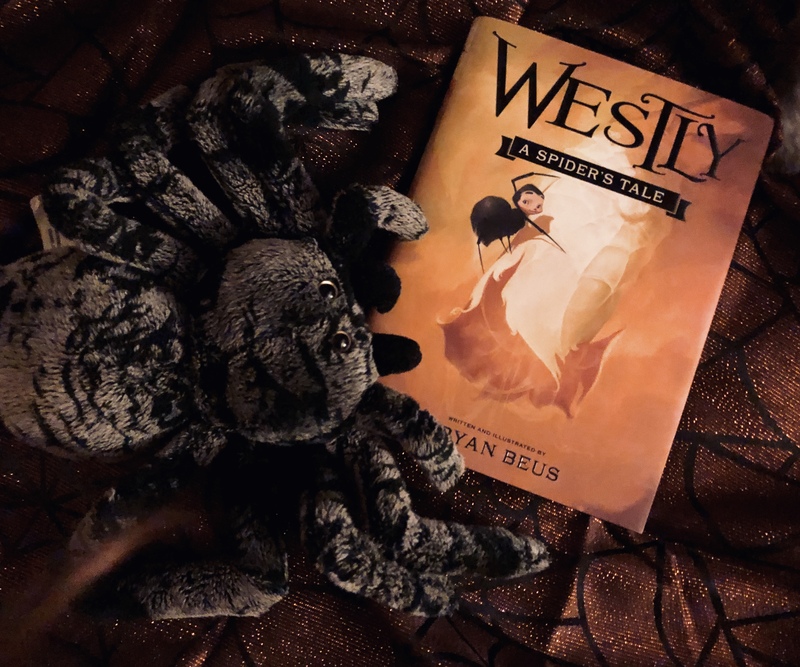 Westly is surely meant for younger readers, but I still found it a joy to read. Westly doesn’t know why he becomes a spider instead of a butterfly, and spoilers, he never finds out why. He runs away from the menagerie the butterflies live in, and he soon lives with other bugs who teach him how to work and that he might just be special after all. Even though my brother hasn’t read it, I can tell he enjoyed it just as much as I did because we’ve had passionate arguments about how caterpillars, their biology, and how normal ones can’t shoot webs like Spider-Man. Despite this, I still loved this book. Both of us have always loved kid books, even if it’s just because we can argue about the logic behind them. It’s a very cute story. It had some dark parts (there’s one part with these creepy worms, ew), which I always love to read. And, it was heartfelt. It reminds us to not trust strangers, especially when we get a bad feeling around them, and that we can get along with anyone no matter their background. It’s the perfect story, even for those of us who don’t like spiders. There have only been a few spiders I have liked, which include Aragog, Lucas, Charlotte, and now Westly can join them. I’m just happy he got to go home in the end. I still think the moth had something to do with him becoming a spider, though. My brother can argue with me, if he likes.